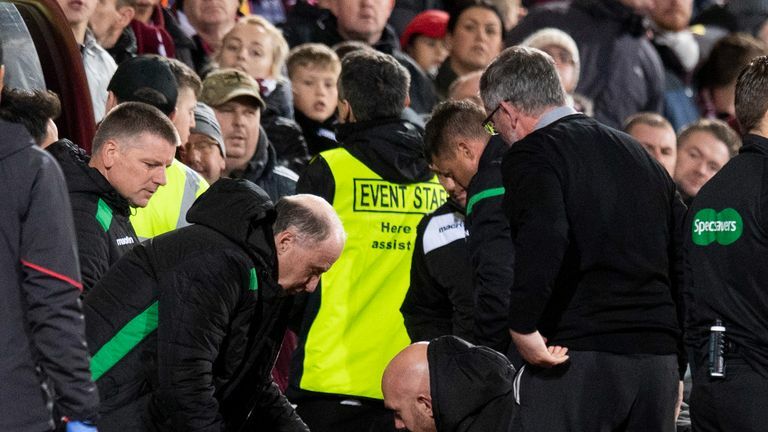 Kris Boyd believes Hearts and Hibernian should not play matches behind closed doors after last week's fractious Edinburgh derby, but says the fans responsible should be banned for life. 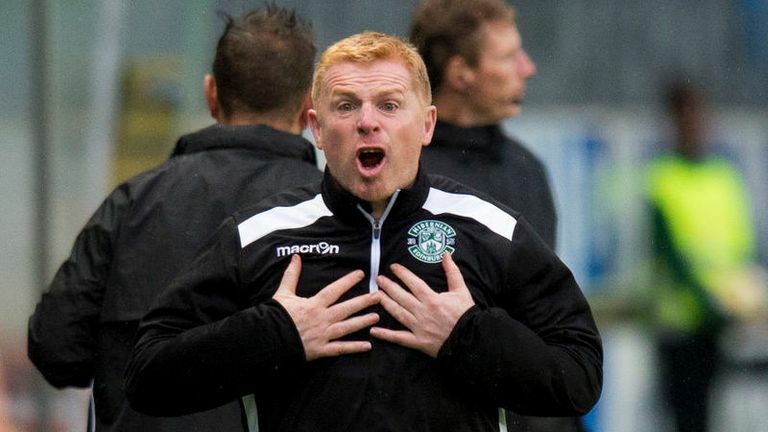 Hibernian manager Neil Lennon was struck by a coin thrown during last week's clash with Hearts at Tynecastle, while a man was subsequently charged in relation to an assault on goalkeeper Zdenek Zlamal in the same match. 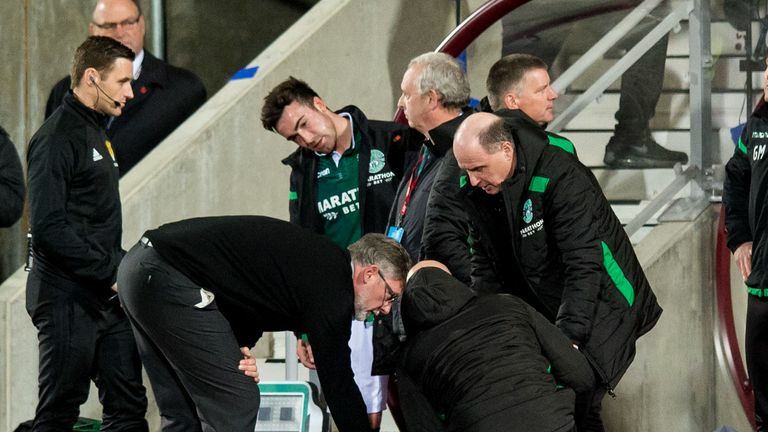 Both Hearts and Hibs condemned the actions, in a match which also saw both assistant referees hit by objects. The clubs' joint-statement said the individuals concerned would face "appropriate sanctions", and ahead of Kilmarnock's match at Hearts, striker Kris Boyd said only the fans responsible should face punishment. Boyd told Sky Sports News: "We go looking to win a game of football. Hearts fans will turn out in their numbers, they're a fantastic crowd and have shown that over the years. "I'm not tarring the Hearts fans with the one or two idiots that did what they did last Wednesday. Yes, it's an intimidating ground to go to, they're right on top of you, and we've seen that with the goalkeeper going to get the ball as well and being punched by a Hibs fan as well. "We're not going to get caught up in what could happen, because I don't think you can. There's no doubt the idiots who were involved should be punished, but when you listen to people saying play behind closed doors, I'm not for that, because why should the good fans who have turned out in their numbers for years be punished because of one or two idiots." The scenes at Tynecastle come after another incident in October at Falkirk, in which a 25-year-old man has been charged for throwing coins at a Dunfermline player. 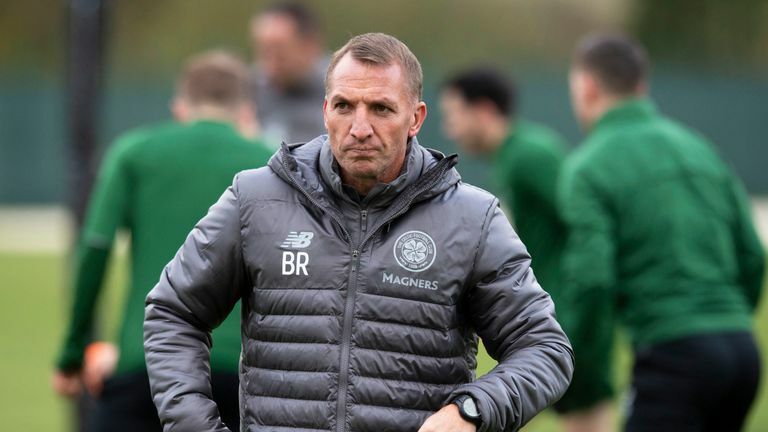 Boyd said there would be "outrage" if a manager or player ever opted to retaliate, and called for supporters to take responsibility in order to avoid negative headlines. He added: "Over the years, it has probably always been there, but it is more highlighted now. The interesting thing would be to see if a manager or player picked something up and threw it at a fan and the outrage there would be then. "I don't really see how it's acceptable for a fan to do it. I know the clubs have issued statements but they really do need to find the people responsible and get them banned for life. "I think there's a responsibility from the fans in the stands as well. When you throw a coin it only takes a couple seconds, but you don't just stand for 90 minutes and decide, 'I'm going to throw a coin'. "There'll be passion building up and I think the fans need to take responsibility and look after their own, because it's their club that is going to be on the front and back of the newspapers and all over every TV and radio channel getting slaughtered because of the one or two idiots." "When you look at what they're doing, it's damaging Scottish football. The two clubs have been fantastic this season on the pitch, but once again we find ourselves talking about things off the pitch."